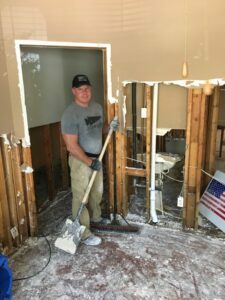 After surviving Hurricane Harvey and receiving little damage to his own property, Wealth Advisor Dean Elliott knew that Global Wealth Advisors (GWA) had to spring into action after watching the horrific scenes on television. 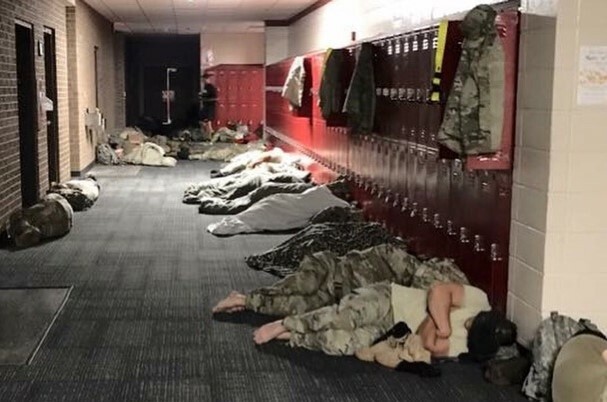 Elliott had heard through social media that between search and rescue shifts, National Guard members were sleeping on the floor at Katy High School. As a former Marine, he knew he had to help. According to Elliott, “As a Marine, I’m not letting a fellow soldier sleep on the floor if I can prevent it.” Getting supplies became a concerted effort helped by Commonwealth Financial Network (CFN) employees and Walmart staff. When they heard about Elliott’s efforts, CFN staff and other affiliated advisors donated money for Elliott to purchase supplies. Though Walmart had closed at 6:00 p.m. the manager opened the store and allowed he and his friend to purchase what was needed. 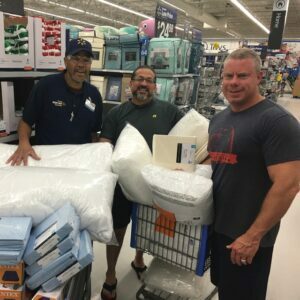 In all, they bought enough pillows, air mattresses and sheets for a dozen soldiers, with the balance of donated funds earmarked for several families who lost everything. When all efforts turned from search and rescue to recovery, Elliott and his friends set out to help several families who lost everything. Things like walls, floors, furniture, toys and photo albums – anything on the ground floor was destroyed and had to be removed, leaving piles of trash by the road. Elliott and his friends gutted four houses in three days, a remarkable task given the dire circumstances. 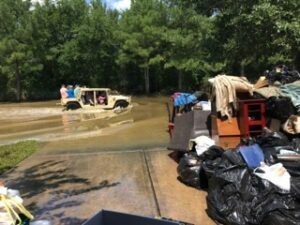 This story is another example of how GWA and our employees are deeply committed to improving the communities in which we operate. We are blessed to be able to give back to those in need, and much of our community service energies are focused on providing meaningful impact through volunteer efforts and donations. We do this because we care, and because our neighbors and communities are incredibly important to us.